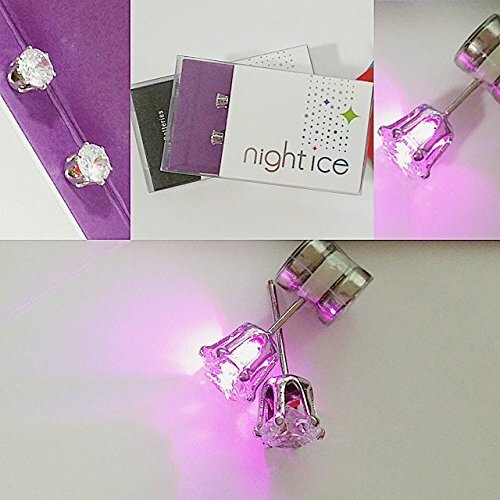 Purple is the most vivid and exquisite Night Ice light up earring color. Lots of gals own this color. 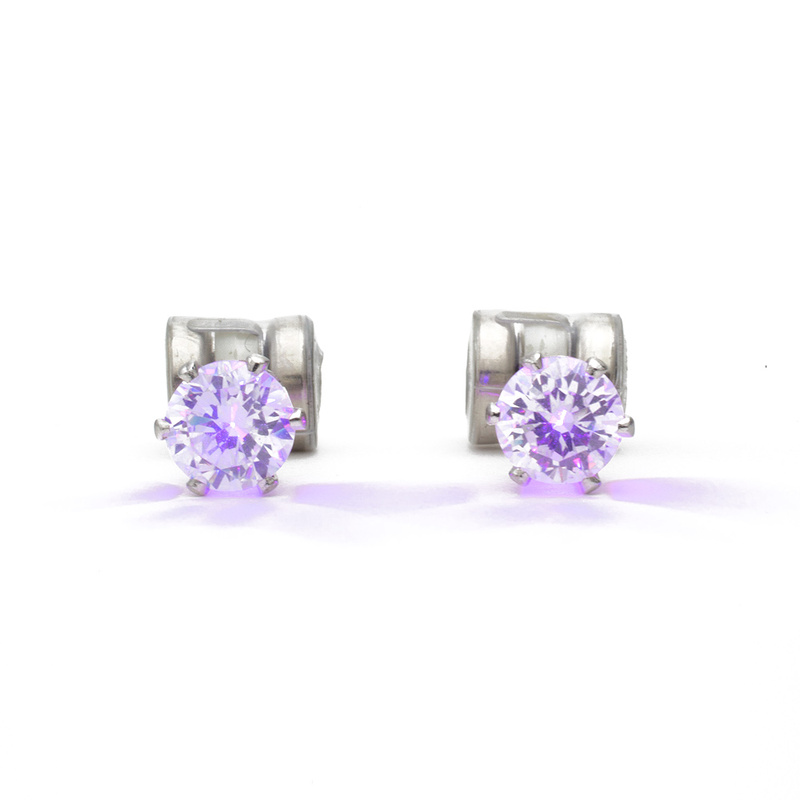 Purple LED earrings are perfect accessories for any outfit, whether classy or casual. The purple Night Ice is a very pretty color. They match everything! Purple LED crystal earrings light up when you add the battery backs. All you have to do tighten and loosen the batteries to turn the light on and off. Use promo code 415 for 10% off! 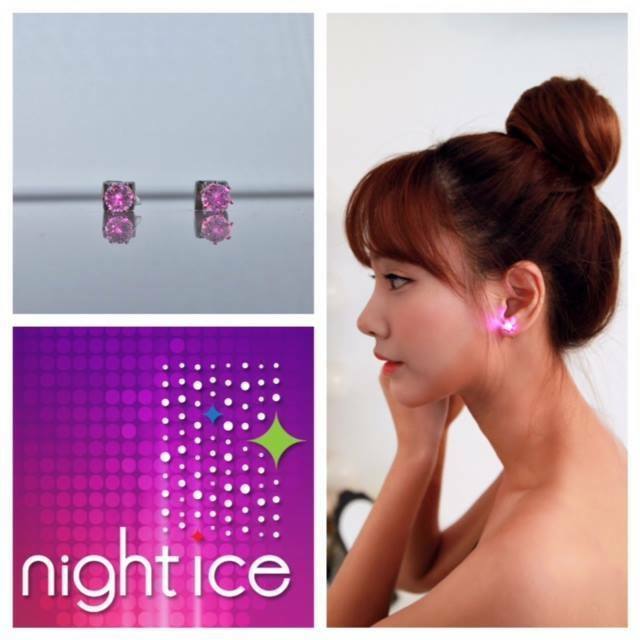 Night Ice light up earrings have a vivid LED light under a brilliant crystal stone. Your earrings are perfect as crystal earrings all day, then you can light them up anytime at night by adding the battery backs. Wear Original Night Ice static light up style for fun when you're going casual. There's no better way to break the ice at a fun party than with light up earrings! They are great conversation starters. Project positivity and light up every room! The purple LED color is gorgeously vivid and will make you stand out. 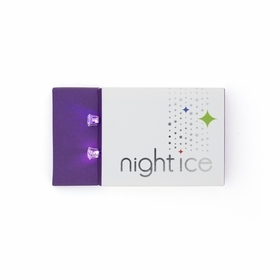 Night Ice LED earrings and good times are like peas and carrots. 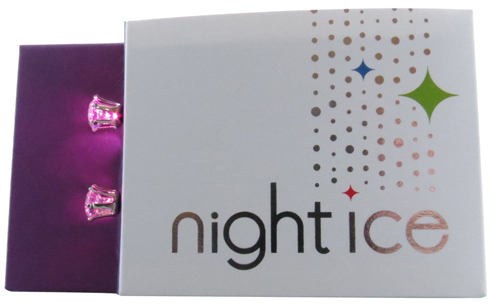 Get you original Night Ice crystal LED earrings and get lit up! This color is a vivid purple-pink. LED earrings naturally put folks in a good mood. Purple LED earrings are perfect for adding spice to the mix. People really like our original LED earrings because they are so fun. Grab a pair for your favorite lady or guy. They make perfect gifts for birthdays and holidays! Light up like a smile and project good vibes with purple Night Ice in the Original style!